HVAC Assist, New Zealand, recently completed another installation utilizing the AKCP SP2+ and sensors for monitoring chillers in HVAC systems. In this project, the chiller was recently replaced and a new switchboard installed. 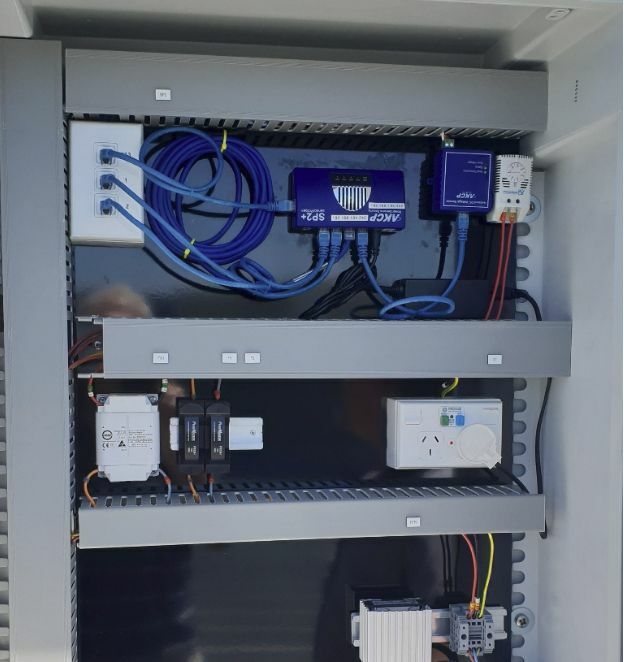 The system had an older analogue control system for the central plant, so the SP2+ was deployed to add some intelligence and remote monitoring capabilities to the installation. The SP2+ interfaced to a Siemens flow meter through our isolated digital voltmeter. 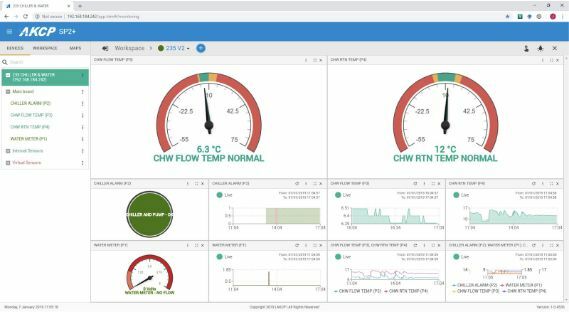 A dry contact input monitored the chiller fault alarm and two temperature sensors monitored chilled water out and return flow temperatures.